Meet our 2019 Farm Crew! 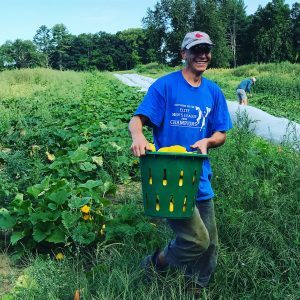 Bridget started farming as a workshare volunteer at Meadow’s Mirth Farm in Stratham a decade ago and soon caught the bug and started farming full time. 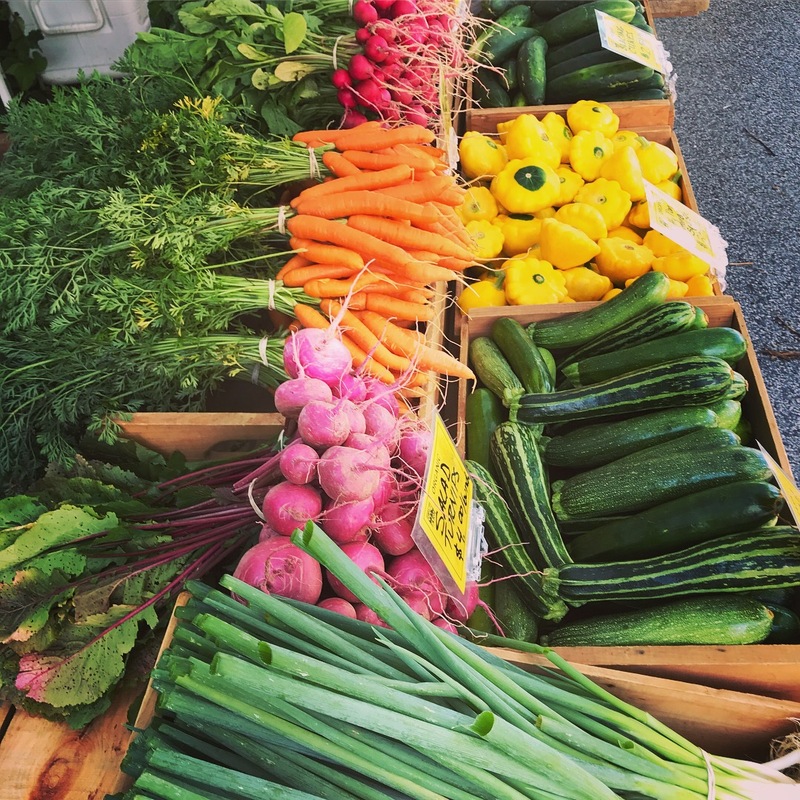 She loves farming for many reasons, but was first drawn to the importance of feeding her family quality organic produce and getting to see the full circle of that produce, from greenhouse to harvest. Bridget’s dream farm day would include cutting greens early in the morning and then digging potatoes. Bridget is active in her spare time too, trail running, kayaking, hiking, going to the beach and supporting her sons’ traveling soccer endeavors. Bridget grew up in Rye and now lives in Exeter with her husband and three sons. Amber comes to the farm with a background in restaurant kitchens where she saw the produce that arrives at “the back of the house.” She now uses her valuable knowledge about produce handling and quality as the farm’s wash station and farm store manager. Amber also has a lot of gardening experience and has always had a large vegetable garden. She is super excited to start installing the farm’s new perennial garden this season. Amber is From Exeter and lives with her family in Brentwood. She loves to hang out with her family, go on outside adventures, work on her garden, cook big family dinners and read anything she can get her hands on. 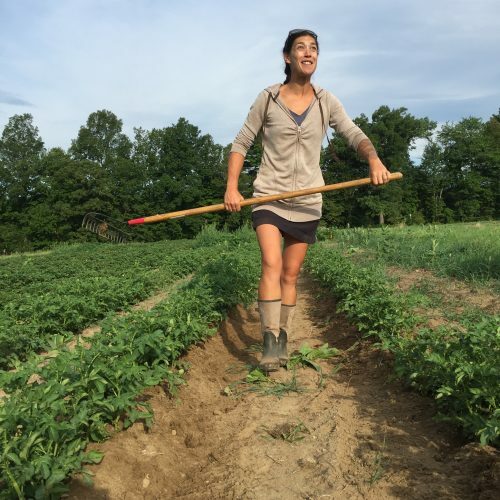 Prior to working at Stout Oak Farm, Jordan spent a year working and living at the Camphill community in Ireland where members participate in growing all of the community’s own vegetables and meat. 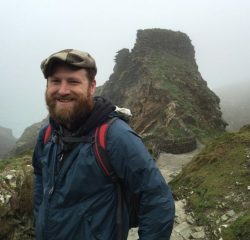 He interned at a similar community in Italy as well as Sylvanaqua Farms, a sustainable livestock farm in Virginia. Jordan is passionate about being people’s connection to a healthier way of living, which he has found through farming. His favorite thing about farming is working hard with others toward a common goal in nature. Jordan was born in New Jersey and has called Exeter his home for most of his life. In his free time Jordan enjoys gardening at home, bike riding, being in forested landscapes and playing with his dog. Kate grew up in Sunapee, NH. 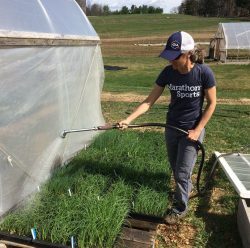 She discovered her call to farming when she met some farmers while she was working on urban agriculture projects in New York City after college. 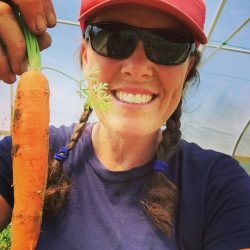 She trained at the Farm and Garden apprenticeship program at the University of California at Santa Cruz and then worked on farms in California and Massachusetts before returning to New Hampshire. Back in NH, Kate worked as the farm manager at Willow Pond Community Farm in Brentwood for its first five years before starting Stout Oak Farm. Kate loves the physical work that goes into growing food and her favorite days include planting seeds into freshly prepared beds out in the field. Kate is active in the local food movement, and served on the board of directors of Seacoast Eat Local for many years. When she’s not thinking about farming, she’s dreaming up her next travel adventure with Jeff. Jeff grew up in East Kingston and now he co-owns and lives on the farm with Kate. During the week, Jeff works for the Cooperative Alliance for Seacoast Transportation (COAST) improving access to transportation for seniors and individuals with disabilities. In his time away from the office, Jeff does a lot of behind-the-scenes work at the farm, including managing the young orchard, tractor work, infrastructure projects, and repairing and building stone walls. Jeff likes to play with their dogs Pippin and Henry, drink craft beer, watch movies, play softball, and work on the farm’s stone walls.